Simon is your local Officer Building Consultant. Simon has over 15 years’ experience within the building industry. He started out as a young apprentice and quickly moved his way up the ladder to Leading Hand, Foreman then Site Manager. Simon has always been well respected by his peers and has always shown a great ability to create and maintain strong work relationships. Simon enjoys renovating his own house as well as helping friends and family who all say they are never disappointed with the job that’s done. He is often called upon to build a deck, pergola, lay concrete or even use heavy machinery such as a Bobcat which he is also qualified to do. 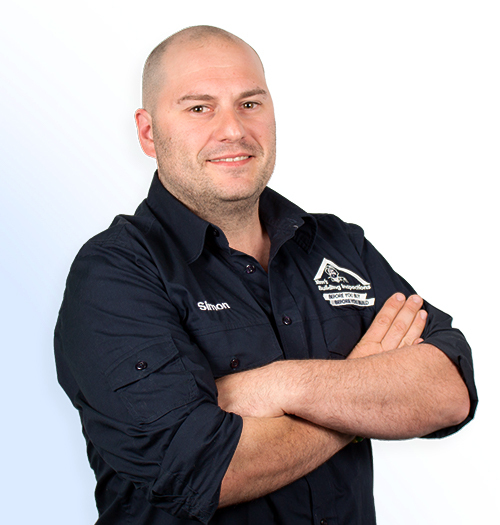 During his time in the building industry, Simon has also gained his Certificate III in Work Health & Safety with the Master Builders Association. Simon is a strong advocate for safety on job sites and will always ensure a job is done right and his staff members go home safe. In his spare time, Simon enjoys coaching kids basketball, going camping, kayaking and spending time with his family.